Mark Metry is the 21-year-old founder of the Humans 2.0 Podcast & Founder of VU Dream, a marketing & brand agency founded and operating in Boston, Massachusetts working with startups, individuals & corporations to help customers imagine new future realities in the fields of emerging technology like virtual reality and podcasting. Mark is also the Host of the Global Top 100 podcast called Humans 2.0 featured by Forbes and NASDAQ as ... See More the "Top 21 Growing Podcasts you must listen to in 2019." 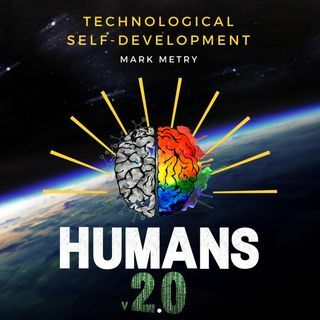 Mark's show has been listened to over 4 million times and features the greatest leaders of our time and frequently converses with Billionaires, Pulitzer Prize-winning journalists and New York Times Bestselling authors exploring today's dynamic of the human experience in modern technological times of 2019. I was born in Boston, Massachusetts on July 22nd, 1997 as a first-generation immigrant from Egypt. My parents came to the United States in 1996 with a couple hundred bucks in their pocket. At the age of 7, I would go to newspapers and cut out baseball players in the sports section and glue them together with several pieces of paper to emulate real trading cards. In turn, I used the money to buy real baseball & Pokemon cards and cookies to give to his friends. Despite my craftiness and entrepreneurial tendencies, I was labeled as a shy kid and decided to choose fear and not my real potential throughout most of my life. I built up a fair bit of social anxiety, which placed boundaries and prevented me from living the life I actually wanted to live. I got my first job sweeping floors, cleaning tables, and taking orders from customers at my Dad's pizza store. I hustled my way through summers and saved enough money to buy a Laptop and iPhone. From then on I started learning online. I learned how to code, develop and build websites and mobile applications in 2009. I started my own YouTube channel around video games at the age of 13 in 2010. I had a total of 35,000 subscribers and featured games like Call of Duty & Minecraft. Little did I know my content creation marketing skills were being built at a very young age. I founded a Minecraft server at age 15 and it went on to be one of the biggest servers on the planet. I stayed as the creative operations director of PPMC, started in 2013 until 2018, the #1 Pixelmon Minecraft server in the world. As creative director, I grew the company’s website to reach over 10 million users and 10,000 registered premium members. I managed a remote staff team of over 40 talented individuals and directed company growth programs. Founded and operating VU Dream currently (started in Dec. 2016), a growing and innovative virtual and augmented reality marketing & advertising agency based in Boston. VU Dream has worked with dozens of startups, studios, arcades, and other VR/AR businesses to help customers imagine new future realities. VU Dream is responsible for advertising and marketing for many virtual reality & mixed reality companies in the industry in many major cities around the world as well as posting daily content to millions of people online. For fun, I host a Top 100 podcast called Humans 2.0. My show features an innovative and talented guest in every episode available on YouTube, iTunes, Spotify, Google, Stitcher Radio, and iHeart Radio. On the show, Mark converses with Billionaires, New York Times Bestselling authors and world-class human beings like Seth Godin, Ed Mylett, and many others to educate for change in their own lives and upgrade to the Human version 2.0 that is inside all of us.